INJUSTICE 2 – WHAT IS IT? 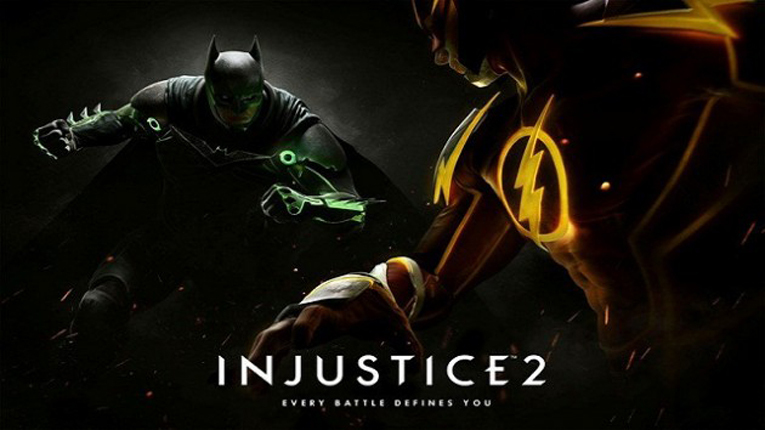 Injustice 2 is the sequel to NetherRealm’s hugely popular Injustice: Gods Among Us from 2013, which saw iconic DC Universe heroes and villains collide in a brutally brilliant brawler. Gods Among Us was well received by critics and fans alike, with its over-the-top combat, dazzling special moves and – something rare for a fighting game – a compelling story mode. INJUSTICE 2 RELEASE DATE – WHEN’S IT OUT? Injustice 2 doesn’t have a release date as yet, only a vague “2017” launch window. 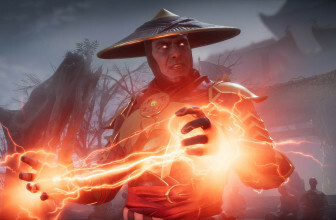 It will arrive on PS4 and Xbox One, surprisingly skipping PC after the poor reception of Mortal Kombat X on the platform. With Warner Bros notoriously having trouble developing for the platform – see The Dark Knight’s horrendous PC performance – it’s not hard to see why the game is skipping PC altogether. INJUSTICE 2 CHARACTERS – WHO’S ON THE ROSTER? However, in a DC Comics article celebrating 75 years of Wonder Woman, it was revealed that the Amazonian hero will also be returning in the sequel. The great thing about NetherRealm’s sequel is its use of lesser-known DC characters. Expanding the reaches of the lineup to those not immediately familiar to a casual audience will give players a chance to find out more about heroes and villains with great lore. INJUSTICE 2 STORY – WHAT’S IT ABOUT? A press release for the game gives us plenty of detail about what to expect from the new narrative. 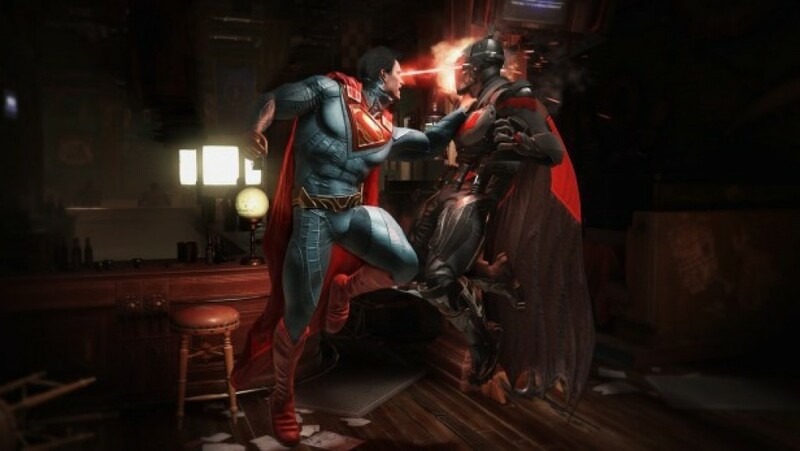 “Injustice 2 continues the epic cinematic story introduced in Injustice: Gods Among Us as Batman and his allies work towards putting the pieces of society back together while struggling against those who want to restore Superman’s regime. NetherRealm has managed to deliver enjoyable stories in both Injustice and Mortal Kombat, something very rare in fighting games. For those who don’t have much of an interest in competitive play, the sheer amount of offline content Ed Boon and his team put into these titles is very refreshing. The fact that we’ll get to see a continuation of Gods Among Us’s narrative will certainly excite fans. INJUSTICE 2 GAMEPLAY – WHAT CAN WE EXPECT? NetherRealm has revolutionised its fighting games in recent years. 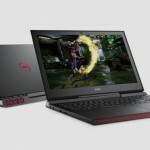 Mortal Kombat and Injustice have been revitalised by an incredible graphics engine which allows the game’s action to really shine, complemented by simpler command inputs for special moves compared to the other brawlers of this world. Injustice 2 seems to play very much like its predecessor, packed with more over-the-top supers, flashy moves and interactive environments for dealing additional damage. Early gameplay footage indicates that a number of mechanics will carry over from Gods Among Us, including state transitions and Clashes, where two players face off and can gamble part of their super in a rock-paper-scissors bust-up. 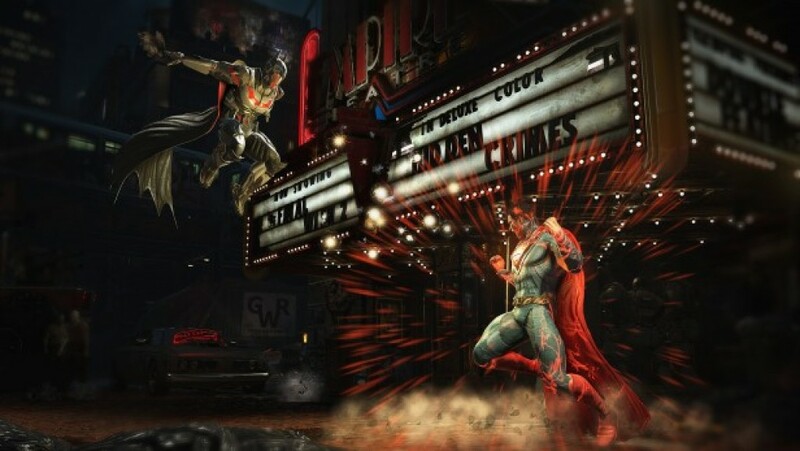 However, it’s the super moves that stand out as Injustice’s real gem, and the sequel seems to continue that trend. 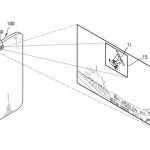 Early gameplay footage shows some incredible moves, like Superman dragging his opponent up to the sky or Batman calling in the Batwing to rain bullets on his enemies. 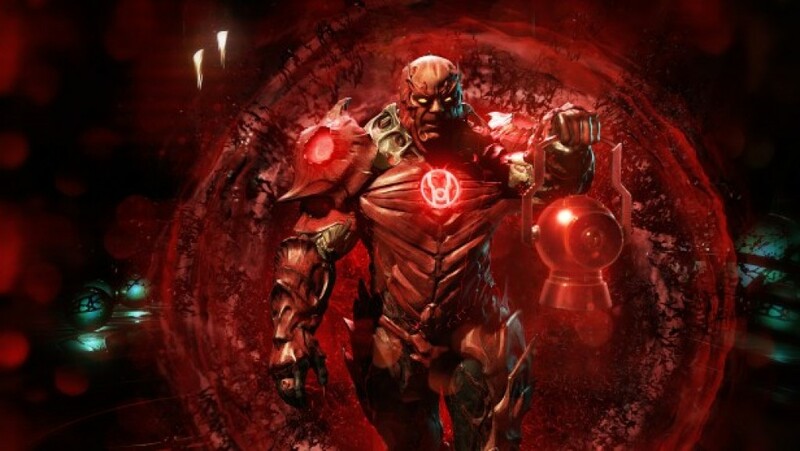 WHAT’S NEW IN INJUSTICE 2? One key new feature is the “Gear System”. That lets you kit out each hero with bespoke attire and gear, which will affect how they fight and progress through the story mode. “The Gear System uses RPG-like mechanics to reward you with loot drops every time you play the game,” said NetherRealm. “With each loot drop, you will earn character-specific gear to outfit and power up your roster – changing not only the look of each character, but your fight strategy and your personal approach to every match. Some costume pieces will be interchangeable among different fighters, such as arms, legs, capes, armour and shields. 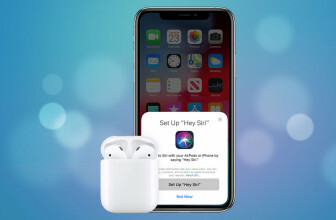 There are said to be over 1,000 items in each category. NetherRealm has always spoiled its players with unlockable content, and the Gear System looks like yet another way to not only keep playing but also personalise the experience. INJUSTICE 2 TRAILER – HOW DOES IT LOOK? The game already looks gorgeous and appears to be an excellent evolution of NetherRealm’s stellar fighters. 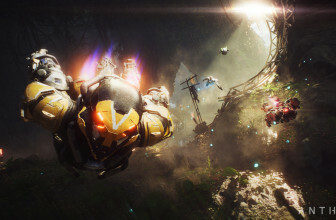 The only current official footage for the game remains the E3 reveal trailer, which shows the six known fighters’ entrances, along with some intense combat sequences and the “Every Battle Defines You” slogan.